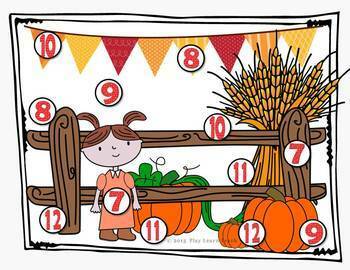 These multi-purpose Fall Game Boards - Counting 1-12 will provide fun, open-ended, fall-themed counting activities that will help your child develop improved number sense in your toddler, preschool, kindergarten, or homeschool classroom. These are perfect for programs in which Halloween is not referenced (no jack-o-lanterns, ghosts, witches, etc.are included in this product). 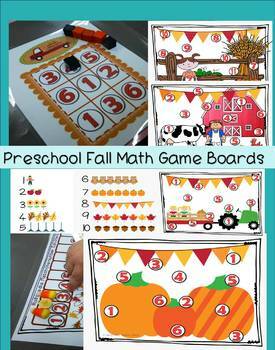 There are four styles of game boards to print and laminate. 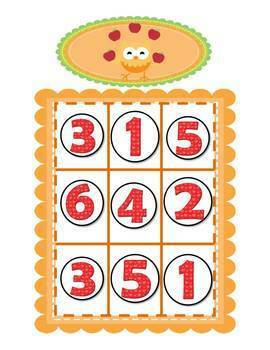 * put written numerals from 1 to 12 in the correct order, small to large. 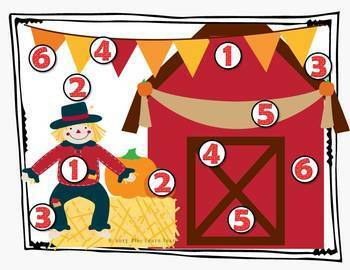 * count from one to twelve in the correct order. Check out the Preview file to see all of the mat designs. Please go to your My Purchases page (you may need to login). Beside each purchase you'll see a Provide Feedback button. Simply click it and you will be taken to a page where you can give a quick rating and leave a short comment for the product. I value your feedback greatly as it helps me determine which products are most valuable for your children /students so I can create more for you. Look for the red star near the top of any page within my store and click it to become a follower. You will now receive customized email updates about this store. Please follow me on social media for notices of new products, freebies, and sales.